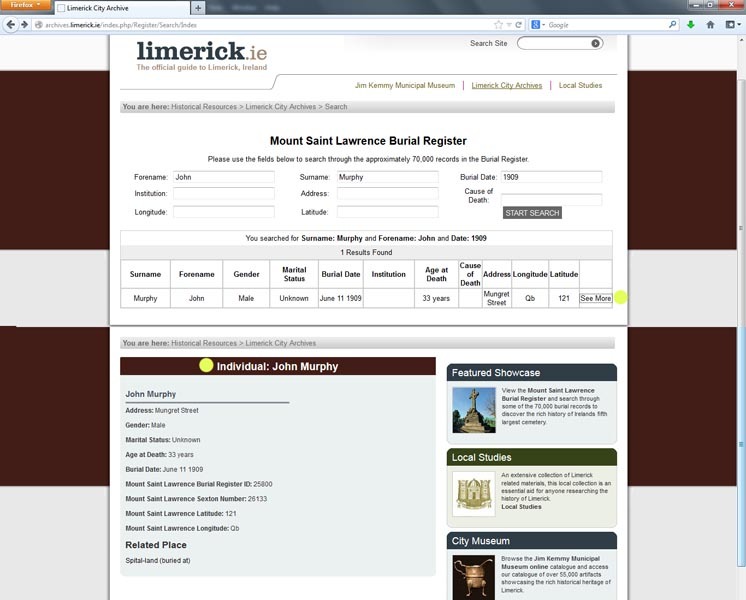 The Mount Saint Lawrence Burial Register has been transcribed and indexed in a project carried out between the Limerick City Archives and Mary Immaculate College. This index was released to the public on the 20th August 2013, below is a step by step guide of how to get the most out of the index. In this step type in the name of your known ancestor, in this example we used William Murphy, as you can see this bring up 18 results. 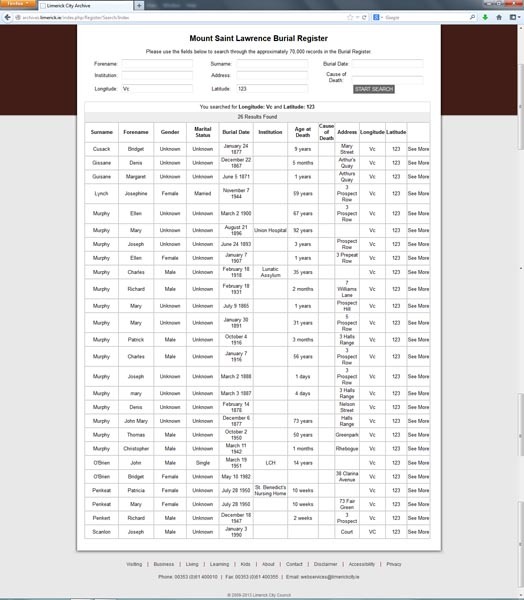 If you are not sure as to when your ancestor was buried there this initial search can help as in most cases an age and place of death were recorded so it is easier to locate your ancestor among the others with the same name. In this step we used the surname Murphy and the address Carey’s Road, this brings up 8 results. 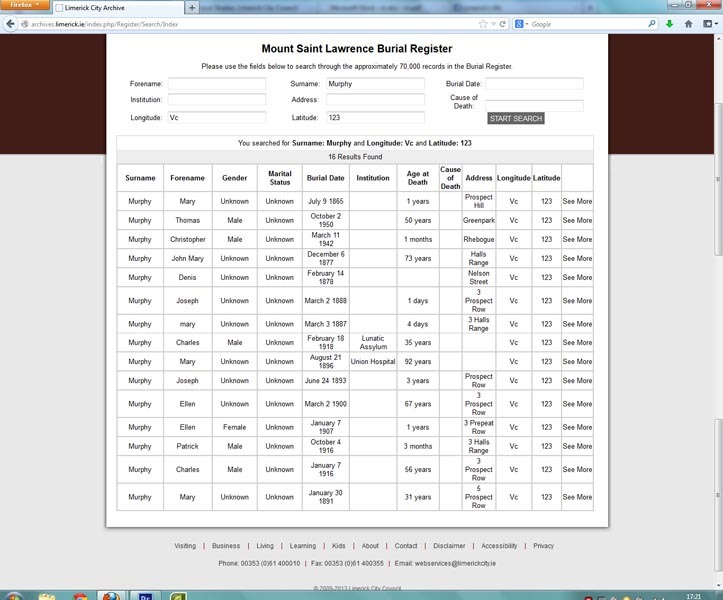 This would be useful if you know where your ancestor lived but were not sure of their siblings/parents names. Unfortunately addresses were not always recorded or the place of death (hospitals) were in place of their last residence. 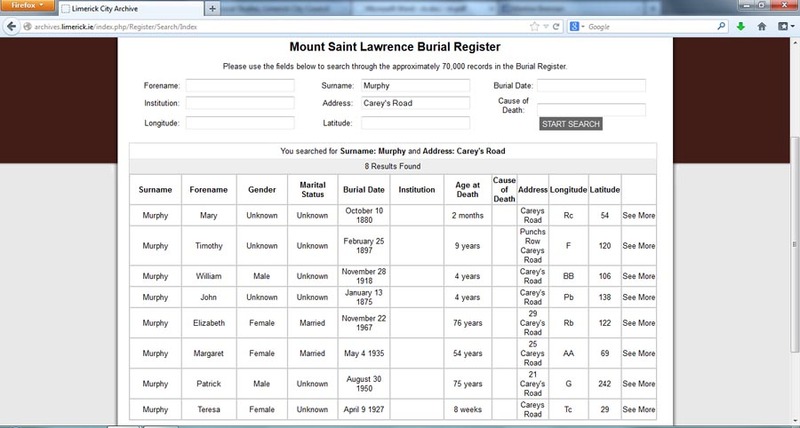 Once you locate one of your ancestors and you would like to know what other family members were buried in the same grave, use the Longitude and Latitude search criteria. 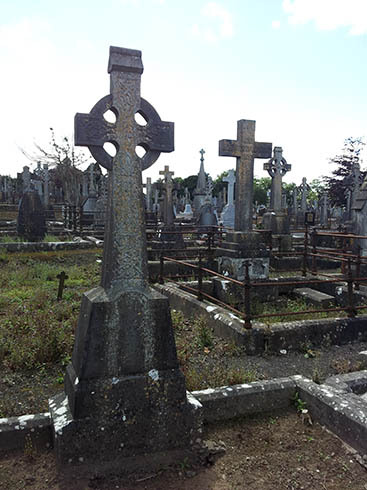 In this example we searched the grave Longitude: Vc, Latitude: 123 for the surname Murphy which brings up 16 results, most of these were living in Prospect Row. It is important to note that members of the same family often had different surnames due to marriages, but you can still search for these ancestors. In this case we searched the same grave as above but excluded the surname, this added a further 8 people to the grave. You can tell from the addresses that some of these were family members, possibly grandchildren of the original owners of the grave. This can be very helpful while tracing your family tree. 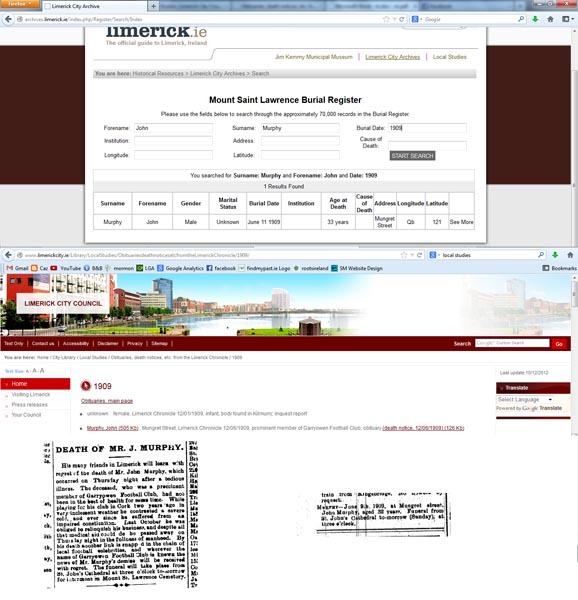 It is vital to verify the index against the original scan (link above), as the registers were hand written and transcription errors can happen. Also the original scans can hold more information than the transcriptions. 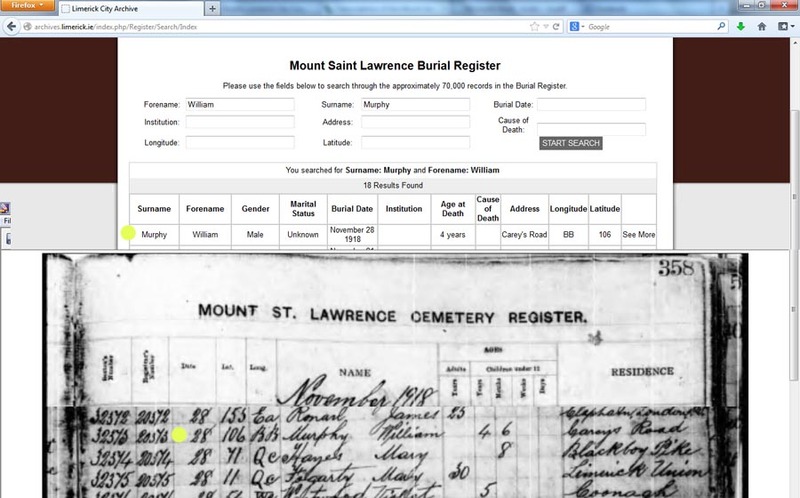 This can be seen from the sample below: William Murphy in the transcription aged 4 years, in the original scan William Murphy aged 4 years 6 months. 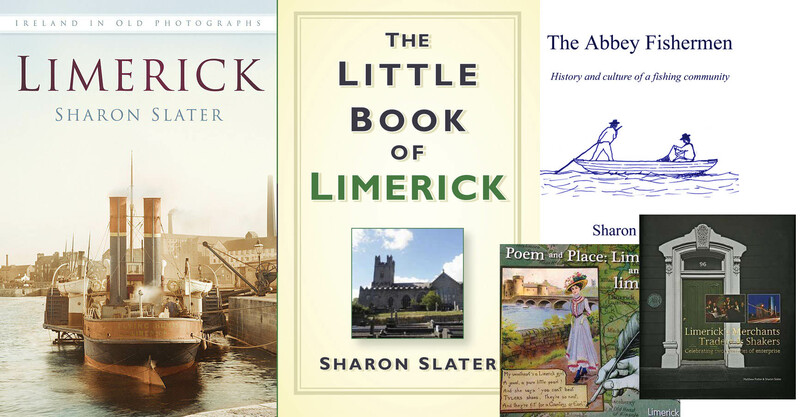 The Limerick City Library Local Studies department has added obituary records (link above) from the Limerick Chronicle. 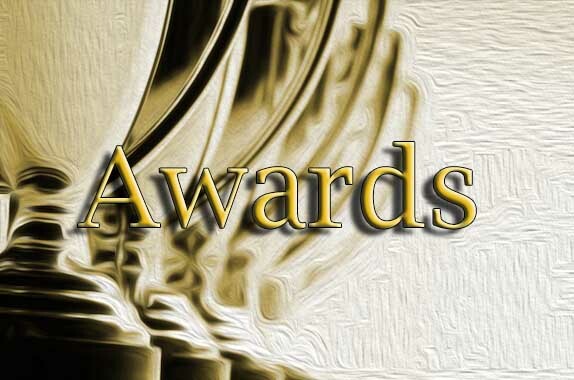 These can be incredibly helpful while researching your family history. 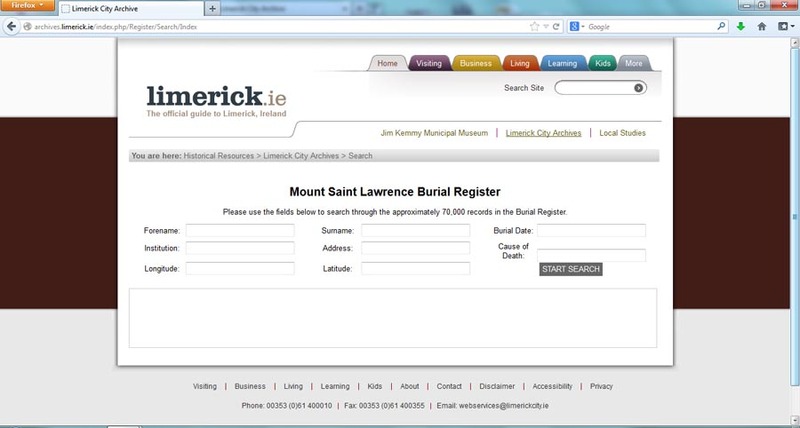 Take John Murphy for example, the obituary records show that John’s funeral took place in St. John’s Cathedral, that his date of death was two days before his funeral and that he was a prominent member of the Garryowen Football Club. 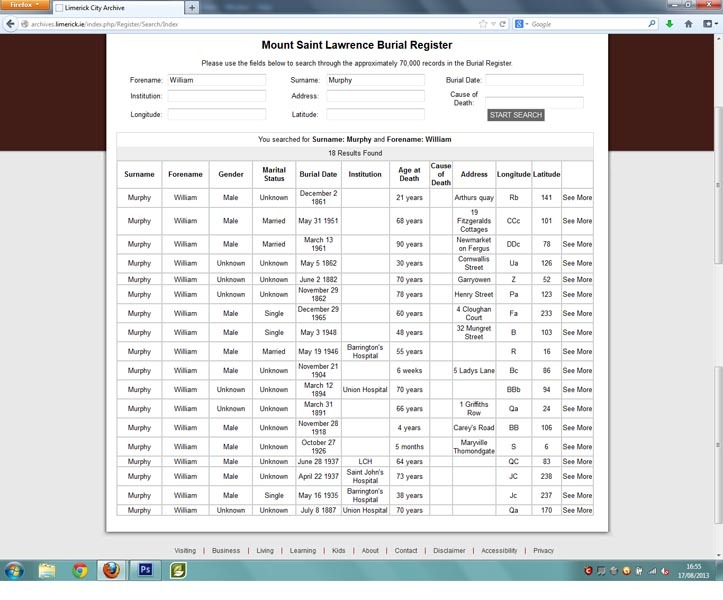 Clicking the See More link from the index will bring you to a printer friendly page to save your record for later. 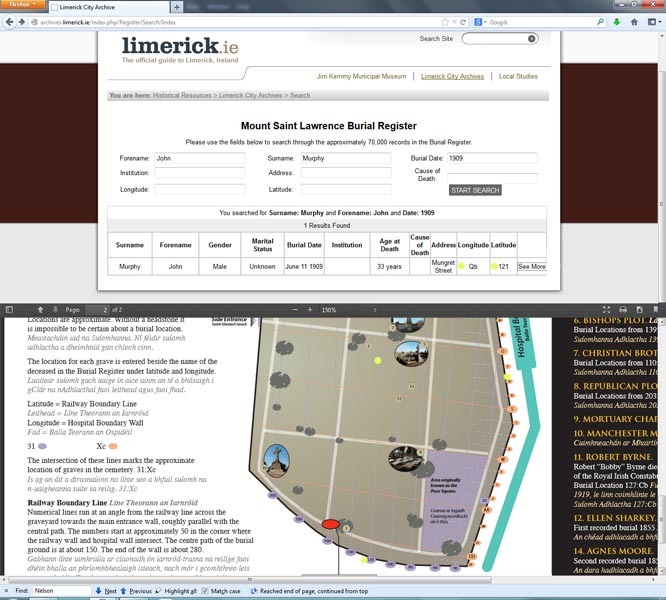 Finally you can find the grave in the cemetery using the Longitude and Latitude an the Map of the Cemetery (link above). The numbers are on the main wall on the front, while the letters are on the right hand wall from the main entrance. These are only a guide and will get you to the general area in which your ancestor was buried. NextWho was John Francis O’Donnell?